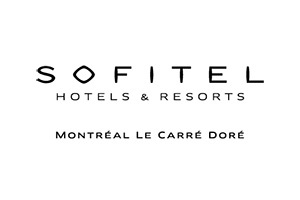 Sofitel Montreal Golden Mile is conveniently located in the heart of the city ideal for business travelers and art lovers – at the foot of lush Mount Royal Park, next to the renowned McGill University and Montreal Museum of Fine Arts. Enjoy the masterful blend of minimalist design and warm sophistication at our luxury hotel embellished with Victorian accents from the estate of North American railroad pioneer William Cornelius Van Horne. Choose one of 241 elegant and stylish hotel rooms or 17 suites all featuring Sofitel’s luxurious feathertop and duvet sleep system – SoBed. 258 rooms including 17 suites.